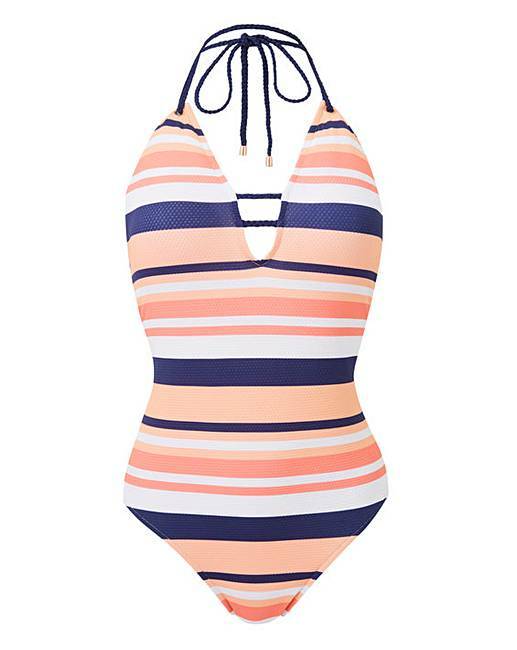 This textured swimsuit features a beautiful soft multicoloured stripe. With rope tie detail for an added style detail, the low back creates a flattering look. Complete with removable foam pads, this swimsuit is perfect for your holiday wardrobe. Why not try the matching tankini set?